State Comptroller Kevin Lembo (D). 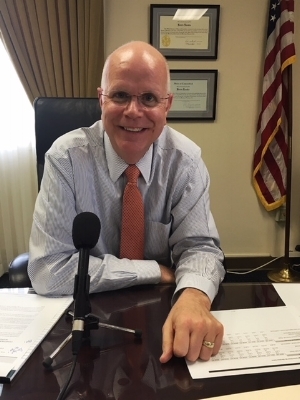 This week on Dialogue, reporter Steve Kotchko interviews Democratic State Comptroller Kevin Lembo. In the program, Lembo explains his decision to seek reelection to his current post rather than run for governor. On the issues, Lembo discusses his continuing effort in Connecticut and nationwide to crack down on price gouging on prescription drugs. He also talks about the status of Connecticut’s economy and state budget.